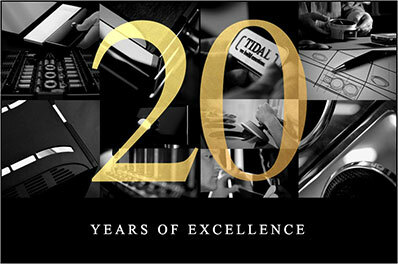 TIDAL celebrates "20 years of excellence"
Founded in spring 1999 TIDAL has established itself over the last twenty years as one of the finest audio manufacturers in the world. Many even claim TIDAL is in a league of its own due its unparalleled combination of the highest possible level in sound, design and finish. 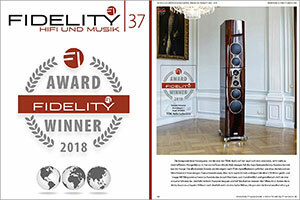 What is for certain is the proven consistency in delivering excellence for ears, eyes and hands without any kind of compromise - materialized in unique masterpieces. Not only would they like to say thank you to all our clients and partners worldwide, they will also celebrate this year with events, limited edition masterpieces and something very special. 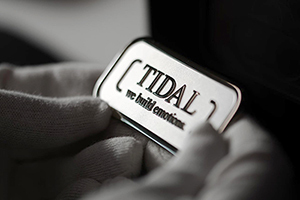 When you examine the construction of all TIDAL products, you quickly realize that they are far from ordinary. We choose TIDAL products because accuracy alone does not touch the heart. A delicate balance between information & emotion must be struck for a perfect union. "...No matter how demanding the sources were that I used with this system, TIDAL responded with immense resolution, solid-as-a-rock reliability, and complete authority of presentation in our room. This is a splendid result, one that merits my highest praise for the TIDAL designs here. I can tell you that I truly regretted the departure of TIDAL; it was a reference experience, without a doubt." Words alone cannot effectively describe the "TIDAL sound". Objective descriptions such as "ruler-smooth frequency response", "ultra fast step response" and excessive adjectives like "neutrality" and "amazing soundstage" could be used however these qualities are a successful by-product of accurate engineering stemming from TIDAL's goal of reaching for perfection. 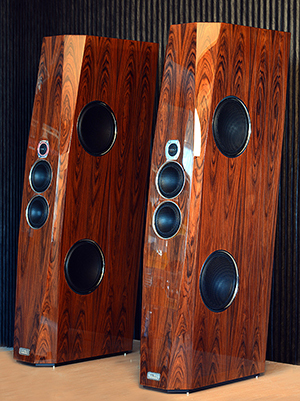 The TIDAL La Assoluta Speaker "The World's Best Speaker!" 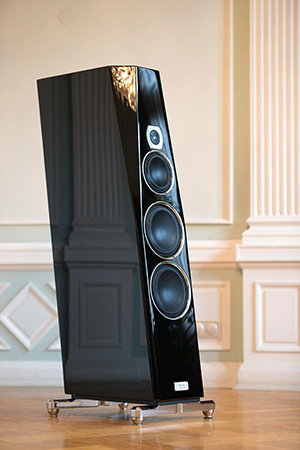 27 Carats of Real Diamond per speaker. "... 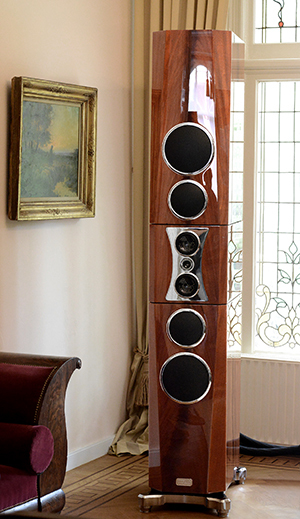 The Akiras are the best-looking, best-built, best-sounding speakers I have had in my listening room..." Click the Stereophile Cover image below and read the full review. Jim Hannon, of The Absolute Sound, gave us his Best Sound (Cost No Object): Tie: Tidal Akira speakers with all Tidal electronics. "Doug White and The Voice That Is always features systems in the top sonic ranks and RMAF was no exception." Read RMAF 2017 Show Report: Solid-state Electronics here. It is undue, really, to try and describe the TIDAL Sunray in common advertising parlance. The Sunray was the first speaker on the planet to feature the unique 30mm diamond tweeter and until today it is the only one with the superior black ceramic diaphragms. Now there's the Sunray G2 which is - very literally.- a Statement, and it speaks for itself. It goes beyond the top league and must allow only one comparison: a very good seat in a live concert. 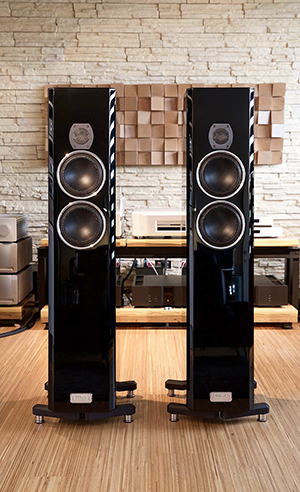 It arose from TIDAL's aspiration to build a definitive loudspeaker, that would surpass every known contender in the Champion's League in terms of musical reality and build quality alike. With a cabinet made out of TIDAL's TIRALIT. With ultimate flexibility to adjust it to any room. With an almost atomic resolution and a most subtle soul for what it is all about. Music. - Design: elegant & powerful, a TIDAL evolution. The all new successor of the worldwide praised TIDAL Contriva Diacera SE (2007-2014). TIDAL did not let things as they were, all is completely new with the Contriva G2. Like with iconic design classics improving does not mean changing. It means making dimensions and proportions better while strictly continuing and following the generic and unique design of it. So we made the Contriva G2 45mm less tall, 5mm less wide and we gave it 3 degree more slope to give it a more dynamic and elegant look while also improving the sonic dispersion of it. The cabinet is made out of TIRADUR, TIDAL's proprietary cabinet material for this model. TIDAL also equipped it with all new BCC drivers, a complete new x-over design, an all new terminal with Tidal’s completely new pure silver binding posts. The result is the very best midsize speaker TIDAL ever built. "... Sonically, the sheer scale and dynamics of the music in this room was bloody extraordinary. The electronics might have been new to North America, but the effect was "Audio Oasis! Award material" all the way. The sound was effortless, fluid, natural, organic, and had the sort of transparency that I associate with only the finest sort of designs that I've encountered on this planet. Detail without edginess; dynamics without loss of control; full-frequency-range presentation without humps or valleys." Click to schedule an audition! 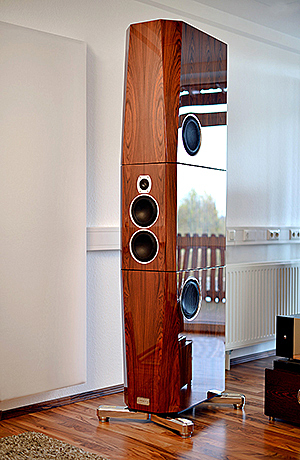 The Piano G2 offers the same Diamond Tweeter used in the larger siblings. 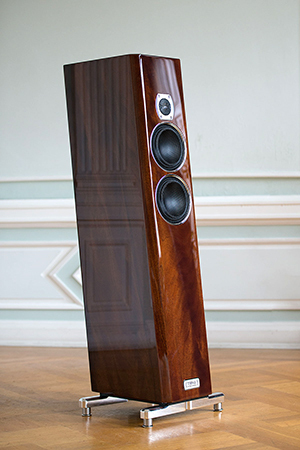 The Piano G2 offers the technology from the Agoria into our classic floorstanding speaker. 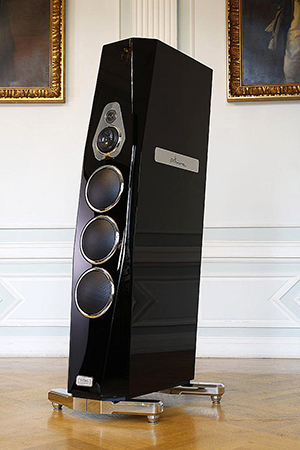 It uses the same unique filter design to avoid any particular driver-sound, as same as the exclusive Varioterminal-technology to adapt the speaker to rooms between 10 - 40ms fast and perfect. - dimensions slightly smaller than the Piano Cera - available in the world renowned TIDAL Midnight Black and Veneer finishes - all new drivers and x-over - new front and rear polished rings around the drivers - 4 Multi-Position Bars. All TIDAL products are 100% Made in Germany.